Anti-eyebrow piercing is considered to be an unconventional mean of surface body piercing that typically involves small surface bar and is usually placed exactly right above the checkbone and beneath the lower orbit of eye. Anti-eyebrow piercing is also known as upper check piercings, teardrops, tears, crows feet and butterfly kiss. This kind of surface piercing is made below the skin but not getting into contact with face muscles or bones. Based on the preference of the individual, this type of piercing can be performed horizontally or vertically. It is normally made on the upper check area, where eyebrows should have been places if the face is upside down. The design greatly improves the beauty of cheek rather than the eyebrows due to where it is made in the face. 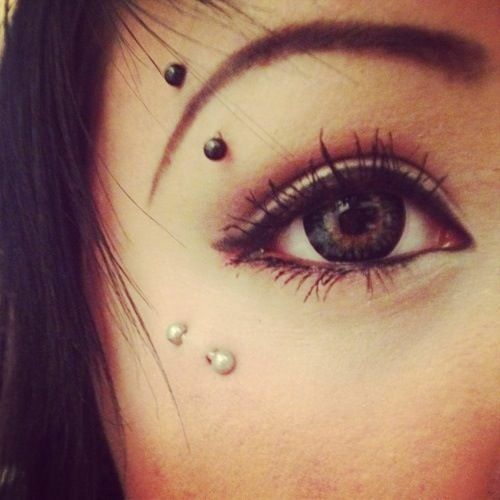 The jewelry being used for anti-eyebrow piercing includes surface bar, curved barbell, barbell and captive bead rings. This type of piercing has been very fashionable among the teenagers since it can spice up the face’s look, especially the yes. It is also adored by piercing enthusiast and body piercers alike as it is regarded as the latest type of eyebrow piercing. 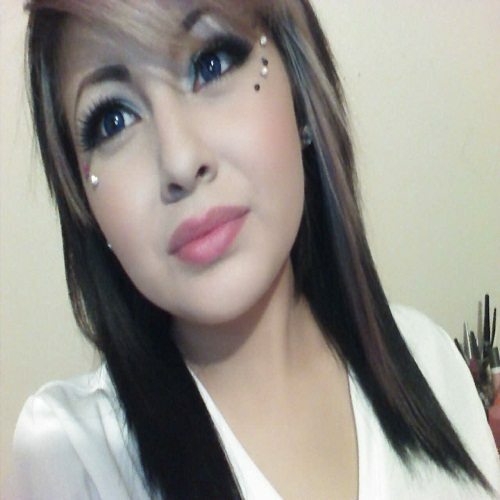 Dermal anti-eyebrow piercing– Using micro-dermal anchors the piercing jewelry is inserted underneath the skin to make this piercing style. Before you get anti-eyebrow piercing, you have to decide on what kind of jewelry you wish to use. Normally, there are two distinct kinds of anti-eyebrow piercing jewelry, which include rings and bars. Eye brow bars are considered as the simplest brow jewelry that you can wear. They are available in different funky colors, looks and designs. You can choose to opt for either straight or curved piercing jewelry. On other hand, when you prefer wearing eye brow rings, you can also get a wide range of these rings that include smooth segment, ball closure and circular ring among other rings. All these types of rings have their own specialties. The exact kind of eyebrow piercing jewelry to purchase is relied on the personal preference and the type of brow piercing you hand. The jewelry you pick has an impact on the type of piercing you have. 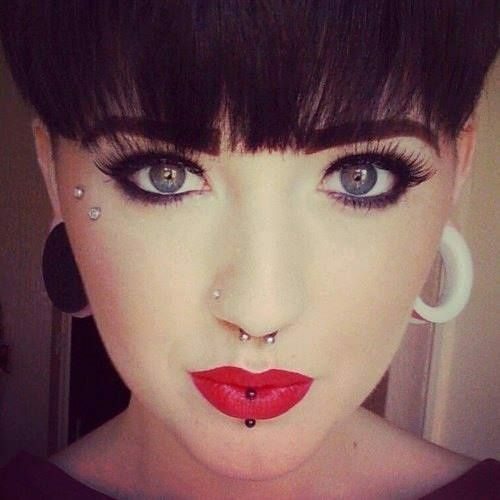 Since anti-eyebrow piercing involves surface piercing, it must be done with the help of surface bar. This piercing is typically done by means of a curved and flexible bar, but it is always recommended to use a surface bar. As with any other kind of surface piercing, it is significant to use jewelry that is just the right size and get it done from the professional piercer. This piercing should be cleaned with saline solution at least for couple of times in a day. Avoid submersion and swimming in water as long as it heals. This is a rainbow anodized curved barbells featuring 3mm rainbow balls with shining glows on the surface. Being colored attractively, this piercing jewelry is sure to add an appealing factor to eyes and your face. Measuring 16 Gauge, this piercing jewelry comes in appropriate size to suit anyone perfectly. Curved eyebrow ring is the perfect option to consider for anti-eyebrow piercing. This is a wonderful threaded eyebrow ring that is featured with surgical steel and hence free of skin infection. This curved is internally threaded on both the sides and made of 316L stainless steel. If you are looking for an alluring piece of anti-eyebrow piercing jewelry to adorn your facial look for your next event, this is the right choice to go. 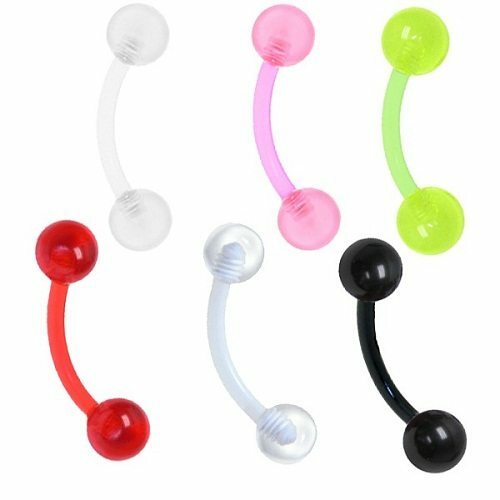 Buy an attractive piece of metallic acrylic ball curved eyebrow ring to flaunt your overall facial look by decorating your eyes with anti-eyebrow piercing jewelry. Available in different colors, you can make your choice based on your individual preference. The metallic acrylic will greatly highlight the beauty of your eyes. If you want to try out anti-eyebrow piercing to get an ideal look, you should really prefer choosing this piercing jewelry. Show your elegance with this cute bow design eyebrow piercing jewelry. Bow has a silver tone that is featured with two cubic zirconia stones in heart shape, for an additional glimmer of style. Never miss to add this exotic piece of piercing jewelry to your accessory collection if you plan on getting your eyebrow pierced. The luster of pearl is visible clearly in these pieces of tiny faux pearl eyebrow barbells. The pieces are made of surgical steel completed in silver tone and is featured with faux pearl on either ends. The barbell material is made of 316L surgical steel that is considered safer for body piercing as it won’t cause any irritation or infection on the skin. This curved barbell is designed from solid 14k gold. The gold curved barbells for anti-eyebrow piercing are made from nickel-free gold. These high-end pieces of curved barbells are not plated and produced out of cheap imported gold. This gold spike barbell piercing jewelry is a great versatile piece that is designed from solid 14k gold and plated with black rhodium. Rather than balls, it features edgy spikes that are made of solid gold. The spikes are made of best quality and nickel-free gold that causes no harm to the body. Stand out in this faux opal internally threaded eyebrow ring. Measuring 16 gauge, this surgical steel eyebrow ring is featured with double synthetic opal stones to allow the touch of glimmer.